Only Love can make two dragons share their treasure! 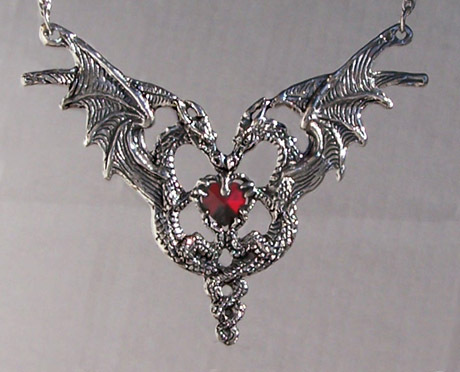 We make them from lead-free pewter with a faceted heart-shaped Austrian crystal. The dragons are 2 1/4" tall from the tip of thier horns to the bottom of their entwined-tails.